Happy Birthday to you... | Primary Planet! Hello! 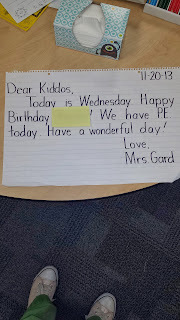 I wanted to share how I celebrate birthdays in my classroom. This year in our building we have made a "No edible treats" policy because of all the kiddos with food allergies. So, not a whole lot of the kiddos are bringing in class treats anymore. But, I still want to make their day as special as I can! The birthday kiddo gets a birthday pencil and a birthday sticker, but they also get to keep a paper copy of the morning message written on their birthday! They LOVE this! I have the rest of the class sign and decorate it, so it becomes like a giant birthday card. That being said, on your birthday you automatically become the "Star Student". 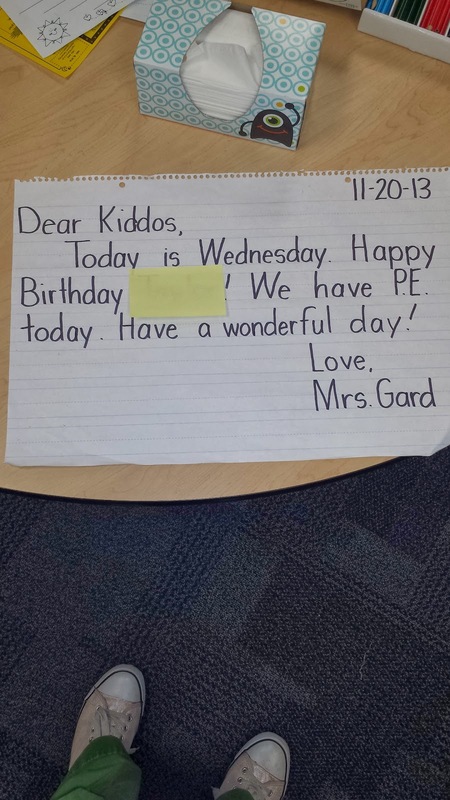 This can be a little tricky if you have 2 kiddos with the same birthday, but that doesn't happen very often does it? Unless you are like me this year! I have 4 sets of kiddos with the same birthdays! What are the odds? But I digress. I do my best to make my students feel extra special on their birthdays! I love birthdays! How do you celebrate in your room? I would love to hear about it! I would have to agree Heather! That is why I don't change it too much from year to year lest I forget what to do! Thanks so much for stopping by! It is so hard to find rewards that aren't edible. Super idea! I agree Justin! Pencils get old pretty quick. That's too funny that you did this birthday post...must be same name, huh? LOL Love the idea of the note too. Talk to you soon friend!